As a member in my 7th year with IABC/BC, I’ve met many awesome people, made quality connections and gained considerable experience to grow my career as well. Now the Vice President of the Chapter, I’m excited about the year ahead with my fellow board members and with you – to help you make the most of your memberships! When considering what I want to achieve this year, and thinking about what I could share with you all as we kick off 2017 together, I starting thinking about when I first joined IABC. 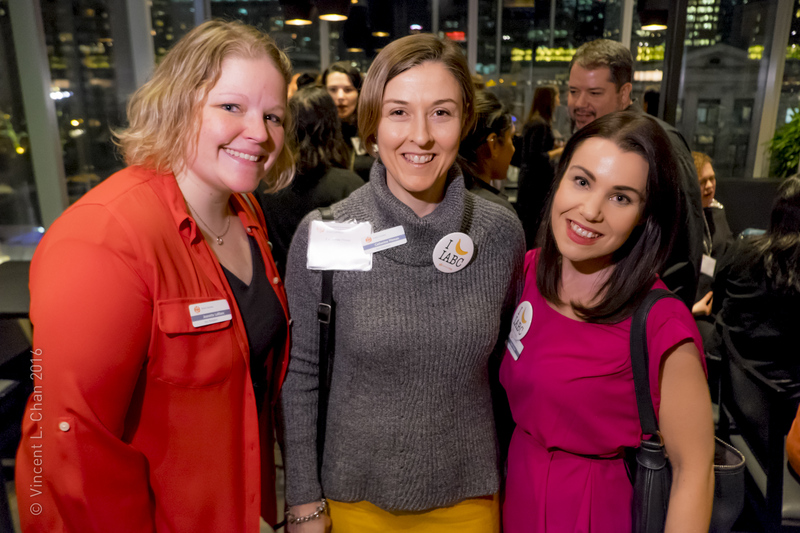 I received an invitation to an IABC/BC 101 event when I first signed up for more information, and at the event I learned all about the ways I could get involved in the chapter and meet other chapter leaders. I was hooked from that point on — there was (and still is!) so much opportunity to get involved and get connected. Fast forward to now, I’ve learned that IABC is a career commitment for me, and is not something I could just turn on and off as needed in my career. I fully understand there are times when you need a strong network (like when you’re seeking new work) more than others, but like any good relationship management strategy, it’s better to stay connected in between all those times of need, rather than only coming out when you need something. This can be viewed in many different ways, but it’s how I see it; and how you stay connected between times of need is entirely up to you. Small or big, I encourage you to come out and get involved. This year in particular, we have many reasons for you to come out and get connected. What do you want to achieve this year? I bet IABC/BC can help you get there! I’ve come up with a quick list of how IABC/BC can be a part of your career goals for 2017. Seeking a mentor, as a new communicator? Growing your resume with demonstrated experience leading a team? Is it time to give back in your career, and be a mentor to someone new? Are you looking for like-minded communicators with specialized experiences? Build your Network: Come out to any of our events and meet new people in the chapter, add them on LinkedIn afterwards and stay connected! We have over 1,200 members in our LinkedIn group; see who’s there and join one of the conversations. We’re also on Twitter (@IABCBC) and Facebook (@IABCBC) too. Be sure to follow us if you don’t already! Gain professional development at a speaker event: We have three speaker events lined up this spring. You can attend as a member or a non-member and enjoy some networking at the same time. Our events will be listed on our upcoming events page closer to the dates, but we have an event coming next month for you so stay tuned! Learn from like-minded communicators: We have our Special Interest Group (SIG) program running full speed ahead these days, with five different groups meeting for themed discussions. These are FREE for members to join in! We have groups talking about internal communications, health communications, digital communications, and also groups geared towards senior communicators and independent (self-employed/ freelance) communicators. Learn all about our SIG program and watch for the meetings listed in our upcoming events too. Gain meeting management experience and host a SIG: If you don’t see a SIG of interest to you from #3 above, consider starting your own group as the chair. Gain meeting management experience and choose a topic of interest, then choose a discussion topic for your first meeting. Consider groups we don’t yet have, like an education communicators group, or a non-profit communicators group. Interested? Ask for more information at pastpresident@iabc.bc.ca. Develop management experience: Get involved and volunteer with our chapter, through one of our many portfolios. You can help manage one of our programs, or join a portfolio to get to know a portfolio that you may want to direct as a board member. Currently we have a 14-person board, and the slate changes annually. We need strong leaders to lead this chapter because we are volunteer run. Interested in joining the board? Email me at vicepresident@iabc.bc.ca for more information. Experienced members, consider giving back as a mentor: We have a unique mentorship program that’s a hybrid with our Gift of Communication program. We called for mentors and mentees before the holiday break and more information will be released soon; and while the program does not run year round, we are always interested in who wants to get involved and give back. Beyond the mentorship program, there may be another way we can help. If you’re also keen on being a mentor or mentee, you might be able to help us get the program off the ground earlier next year (in the fall). The more people who get involved, sooner, the better. We need mentors and mentees all the time. Learn more about the mentorship program. Sign up to volunteer with our chapter: The only person who is in charge of your career, is you. You decide where you want to go, what you want to learn and experience, and you decide when it’s time to make a change or not. You can sign up for one of our current volunteer opportunities, or you can sign up and tell us what experience you want to gain. We may be able to find a role for you that is not yet listed. Also, if you are involved, then you’re closer to hearing about new opportunities as they come up. We are here to help you get the most of your membership, and honestly, I speak from experience when I say, getting involved is the best way to do this. My membership fee has become like “career insurance” for me, by keeping me connected to my peers and linked to continued opportunities to learn. I could not imagine being in this field of work, with our fast-paced, changing environments and learning it all on my own. Being a part of this “tribe” is now an essential part of my career development. I hope you will get connected with IABC/BC, and meet all your career goals this year! If you have any questions, you can email me at vicepresident@iabc.bc.ca. PS: Bonus tip: Save January 25, 2017 in your calendar! We’re hosting an event that will be FREE to attend, where you can learn more about volunteering with IABC/BC and getting involved with the board. Details to follow; watch your inbox! Chapter Vice President Jeanette LeBlanc is a Digital Communications Specialist and food blogger. She’s a self-professed sucker for bad puns, and was voted valedictorian of her pastry class!